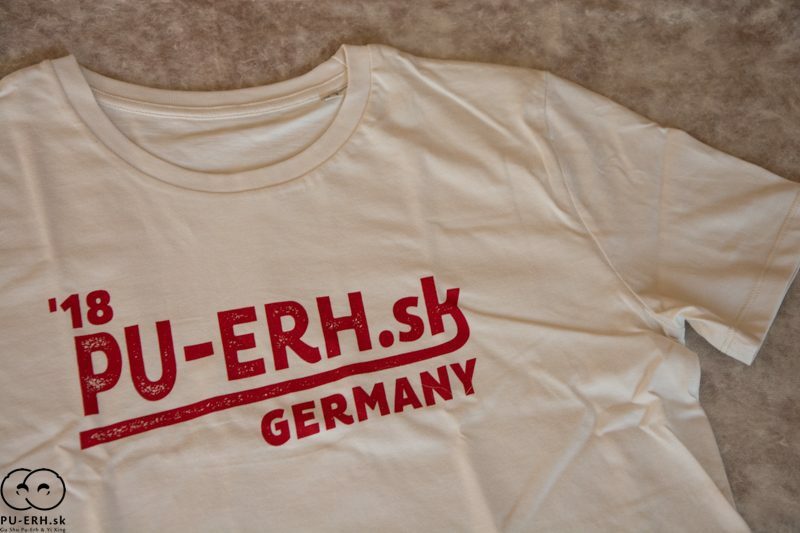 T-shirt made of 100% organic cotton with pu-erh.sk design made for a trip I made to Germany this September to have tea with some members of teetalk.de tea forum. 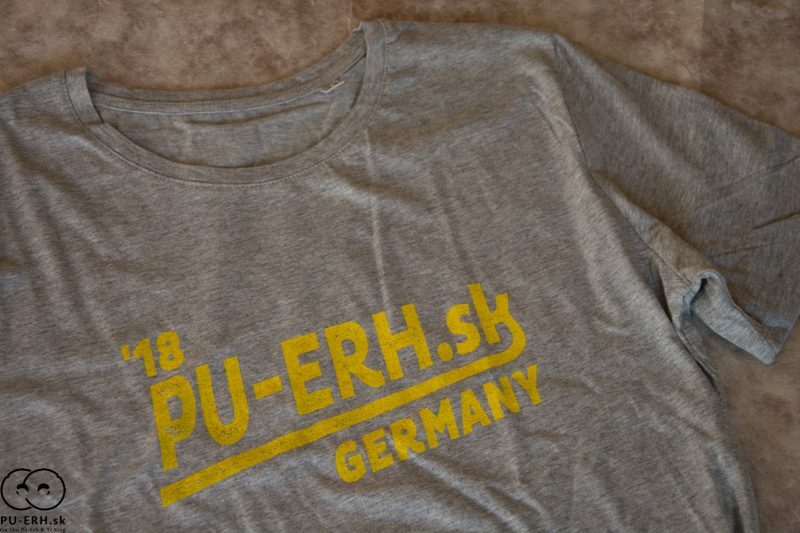 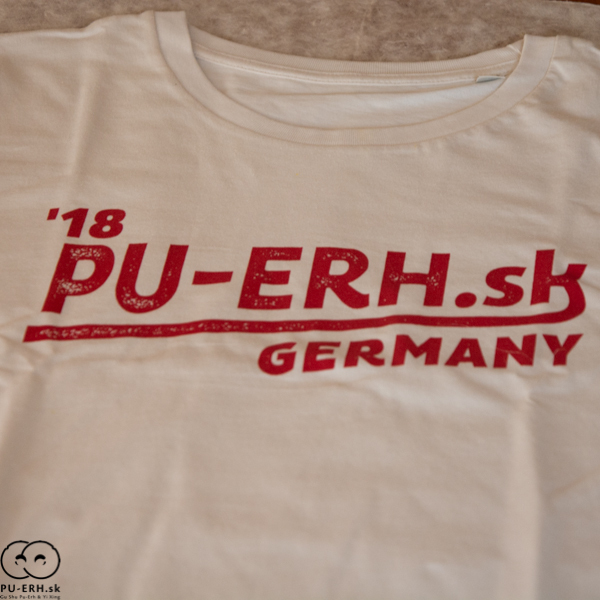 I was inspired by a retro sport brand type name design that I thought to make it with a pu-erh.sk sign. 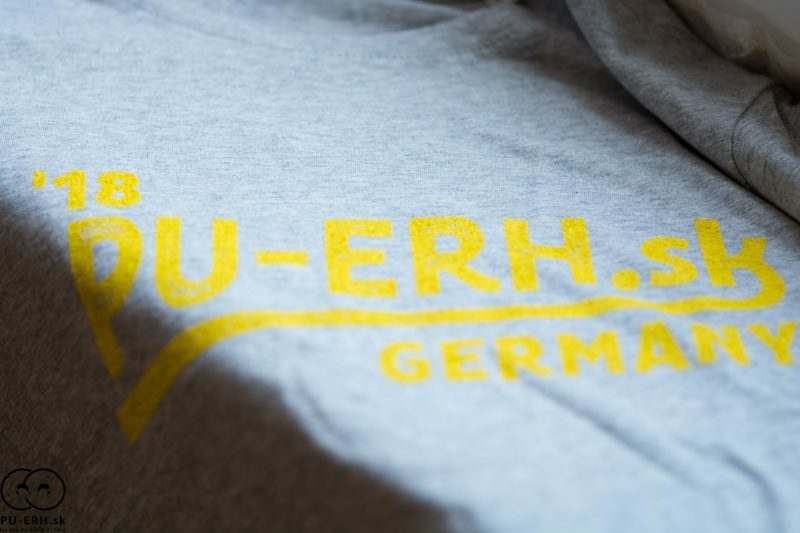 This could lift a bit of seriousness that sometimes creeps into our tea minds and makes tea something super serious and ritualistic stuff.